There is a provocative (in the best sense of the word - provocative is good as it makes us think) post on LinkedIn by Liz Ryan. It is entitled "The Three Biggest Lies Told in Business". At number 2 - "Numbers are the language of business". Her point is that it is people and how they interact that makes business work. Numbers don't do anything without this. They just sit in cells in a spreadsheet. 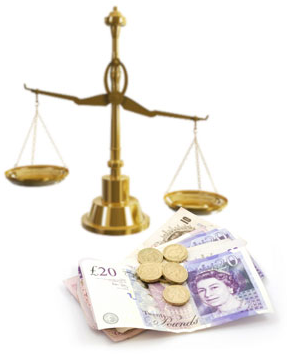 Is money the only way to measure business success? Is it the only kpi worth tracking? 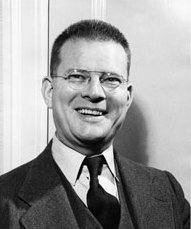 One of my heroes is W Edwards Deming. His ideas shaped many of the companies in Japan in the post War period. Some say he was responsible for the "Japanese miracle". As a young Production Manager at Mars some 20 years ago I watched several videos of WE Deming. He talked about "Money being the language of management". Those in operational roles talked about things (volumes, hours, pieces, level of quality). So somewhere in between these two we have the expression that heads this blog. There is a certain prevalent thinking in business that it is only about the money. The only thing that is important is the achievement short term profit targets. 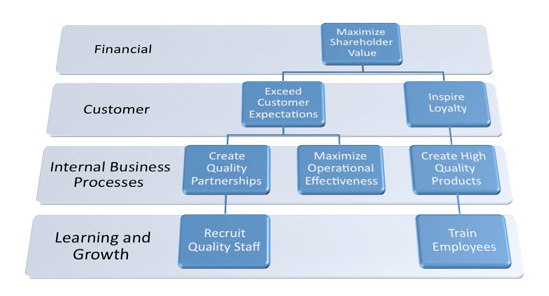 Management's responsibility is solely to deliver as much profit as possible to the shareholders. Focus on the short term. This thinking is corrosive to the business, to the people who work in those businesses and society as a whole. Accountants have to take a lot of the blame. Finance for Non Finance Managers courses typically start by asking "Why are we/are you in business?". Any answer which is not "To make money" is wrong. That is not to say money is not important. no business can survive for very long if it does not make money or deliver a reasonable return to its investors. But is that the same thing as saying "the only reason we are in business is to make money"? Money is the language of business and for the same reason we invented money. if there is a big difference in value between what I have and what you are trading (so for example I have a sheep but only want to buy enough grain for one loaf of bread). Money solved this by creating a common and shared means of exchange. I can convert my sheep into money by selling it to my neighbour. I can use that money to buy some of your grain. You can use the proceeds from selling grain to buy the timber you need for your barn. In other words it allows us to put an objective value on a variety of things. Our goal as business owners is to create value. So doesn't it make sense to use something invented to measure value as our measure? Money allows us to put a value to disparate things - to activities, to projects, to administration, and obviously to goods or services. We can value nearly everything that happens in the business. That could be how much we are getting for our sales, how much we are spending to make those sales, the costs of fixed assets that allow us to operate, how much we owe, how much we are owed. It provides us with a tool to make objective comparisons and to support our decisions - is it more cost effective to buy this building or to rent it? In this way money is really is the lingua franca of business. And if I capture data correctly I can use it give real insight into what areas of the business are working well and what are not. Which customers or channels or products or sectors are performing. I can use it to turn my business plans into a road map. I can see if my plans will work before I start doing anything and can change to address issues. I can track my progress against that plan. I can use that information to understand why things didn't happen as I'd expected so I do things better in future. But let's not forget that it is not perfect. It struggles to value intangibles like customer relationships, how well staff work together, how well our processes and systems support us, our brands, employee satisfaction or the difference we are making in our community. You get what you measure and so focussing entirely on the finances will drive just the type of behaviour we want to avoid. To misquote Churchill "money is the worst form of measurement except all the others that have been tried". So we have to accept finance can only ever be one dimension of success. We need to find ways of measuring our achievement in areas that can not be readily measured financially. May be something that treats making money as one objective but also looks at the needs of our customers, the capabilities we need to build to deliver that and the people and skills needed by the business? 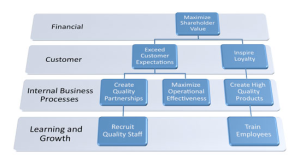 That would be the Balanced Scorecard by Kaplan & Norton. One of Deming's insights was that there was not in fact a choice between quality and cost but that by getting quality right you reduce costs. Likewise by delivering in a way that meets the needs of your stakeholders it may well be that not only do you achieve those objectives but also you make more money that your competitors who look only at the bottom line. * I was in two minds as to whether to use the words "Balanced Scorecard" given the reaction it generates in many people. Used right it is a powerful tool. We should not tar the concept with the same brush as the results of poor and lazy implementation. With all business tools take the bits that work for your business and ignore the rest. Don't be a slave to dogma. This entry was posted in Blog Posts, Uncategorized and tagged balanced scorecard, BSC, Deming, Kaplan & Norton, kpi, measurement, purpose, strategy map, values, vision. Bookmark the permalink. ← Have you got the problem most businesses only dream of?